When the Buffalo/Vincennes Trace was at its busiest taverns and inns were built along the route to cater to the many travelers. Some of those inns still stand today. In 1819, one of several taverns which sprang up along the route documented more than 5,000 travelers coming through enroute to Missouri. Later as the settlements of Paoli and Orleans increased in size the stage line swung north to hit Paoli. 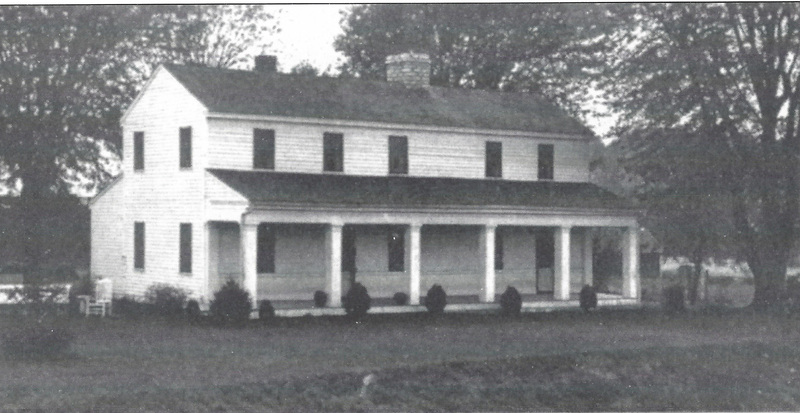 The Inn shown here was built in 1841 on the New Albany-Vincennes Turnpike and was a well-known landmark for travelers. It is unknown when the stage coach stopped running. The house has been restored and used as a stagecoach inn, a bed and breakfast until 1960s, and is now a private home. The photo to the left was on a postcard in 1958 when the Inn was a bed and breakfast known as “The Maples”. The house was used as a place for people to stay for over 100 years. The property still has the carriage house, the summer kitchen and the smoke house, all from 1841. The smoke house has 80 wooden hooks to hang meat to smoke. There are many stories and legends surrounding the house. Some say it was part of the Underground Railroad but there is no proof of this. John Campbell built the house and used it as a bank. There were no other banks in the area at this time and the banks in New Albany and Vincennes would have used the stage coach to move money. Because of this Campbell had a very large cast iron bar put across the front door. You have to “hook” it to iron loops on both sides. It is impossible to open this door with the bar across. The bar is still there after all these years! Jeff Lane, Orange County Historian, said two men once hid across the road in the woods and tried to rob the house but couldn’t break down the door. Another story is that Abraham Lincoln stayed there. It may have been during the time he came to southern Indiana in 1844 campaigning for Henry Clay who was running for President. We know for a fact Lincoln went to Washington, Indiana, and went back to his boyhood home just south of here in Spencer County. 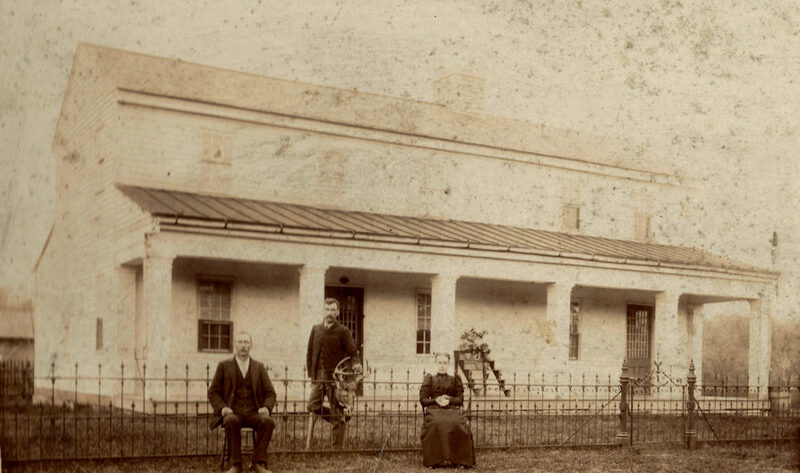 If he came to Orange County, he would have probably stayed at this Inn since the French Lick Hotel wasn’t built till 1845. The photo below was taken in the 1880s. If you note the man standing in the middle has a wooden or “peg” leg. We still have the leg in the house! The picture of the covered bridge is over Lick Creek. If you look through the bridge the old Stagecoach Inn is on the right side. 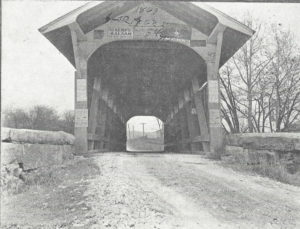 The covered bridge was there between 1869 and 1923.